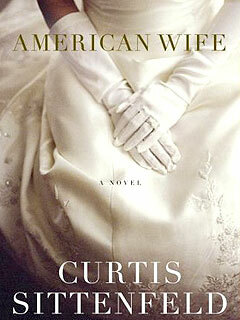 It’s late and I just finished “American Wife” by Curtis Sittenfeld. I have been reading this book for almost three years now. I am not sure if it was my lack of focus, my disinterest in the story past page 62 or what, but I finally finished it. Ok, that’s a lie, I didn’t truly authentically finish it. I skimmed the last 30 to 40 pages and said, “That’s it I’m done, I can’t take it anymore.” No offense to Ms. Sittenfeld, I think the story was great, but honestly it was just too long for a story that had so many dull moments. I think the premise of the story was great, I really do, a fictional/non-fictional story about the life of Laura Bush, excellent story. You got a good look at life as a First Lady, the fictional life of Laura Bush, but the author talked way too much, to a point where I forgot what she was talking about when she would recapture a memory from 200 pages ago. A lot of my friends (those who read anyway) believe that if you are this dissatisfied with a book, you should just quit reading it. The idea of that bothers me, because I feel that every book we open should be completed entirely. However, I just couldn’t anymore. It kept me from reading other books or at the very least enjoying them because I felt guilty for not having finished this one. So at this ungodly hour of 1:33 a.m. I have decided I am finished. I don’t think she is a bad author, I just think she could cut her stories down a bit, a lot less talking.